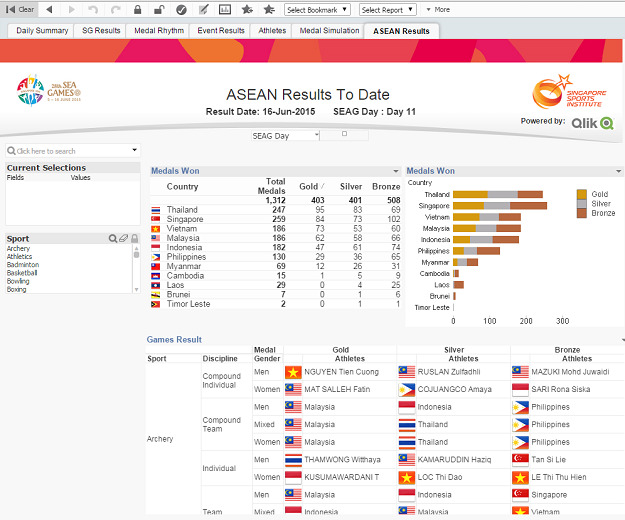 The Singapore Sports Institute looks for the competitive edge using Qlik at the Southeast Asian Games. I’ve written before about the impact that analytics has on sports and it’s becoming more and more evident with each passing year. It’s already made its impact on baseball to the point that individual teams are attempting to hack each other’s proprietary databases. Top officials within different sports organizations want insights: to look beyond what the human eye can see and dig into the reasons why the results occur as they do. 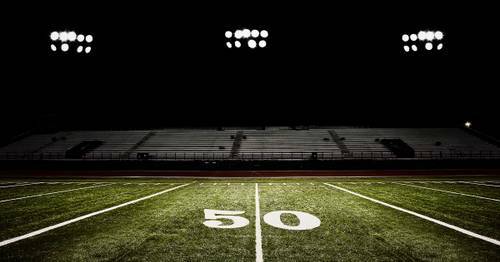 In August 2014, the SSI formed the High Performance Sports (HPS) Analytics, Technology and Education department. HPS’ main charge was to enhance athlete preparations and track performance at national sporting events through video and data analysis. The team is largely responsible for data collection: tagging individual moments on video from practices and live events and sharing clips with the athletes as they prepare for their next competition. They are also responsible for tracking athletic goals for the national teams and how the athletes have performed in similar circumstances historically. As with any sport worldwide, success is measured in wins and losses; but those results become amplified especially in international competition. Take the biennial Southeast Asian (SEA) Games for example. In 2015, the 28th installment of the SEA Games was held in Singapore, who hosted 11 Asian nations including Brunei, Cambodia, Laos, Malaysia, Vietnam, Thailand and many others. It was the first time in 22 years that Singapore was hosting the region’s biggest multi-sport event, so everything had to go right for Team Singapore’s 747 athletes across 36 different sports. 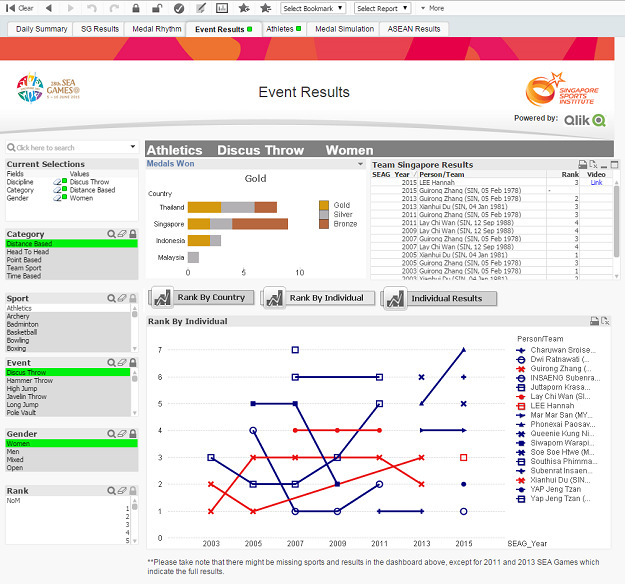 Prior to the beginning of the Games, the HPS Analytics Team created a report featuring performance projections and simulations for Team Singapore. The report dove into the best chances to win medals in each sport and identified the athletes who had the best chances based on their prior year’s competition history. 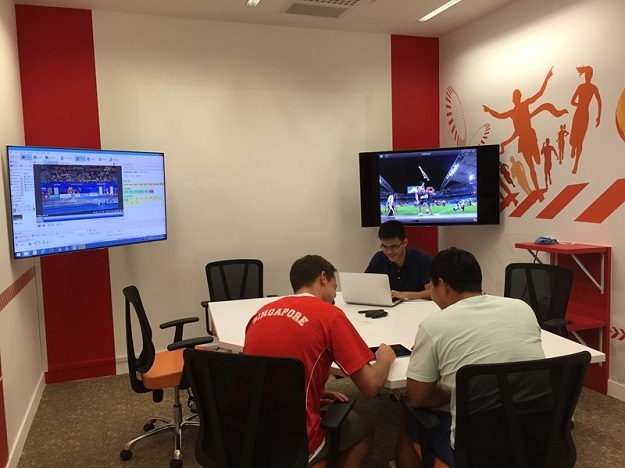 During the days of actual competition, the HPS crew worked almost around the clock from 8:30am to 11:30pm every day processing and tagging video clips for Singapore’s athletes to analyze. In total, the team processed 1,297 videos which adds up to 745 hours of total footage across 19 different sports. 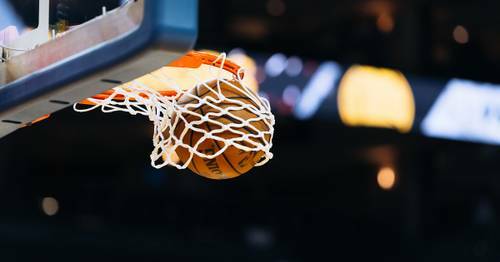 To supplement the athletes’ video analysis – the HPS Analytics Team utilized Qlik in order to track progress against the benchmarks established before the Games began. 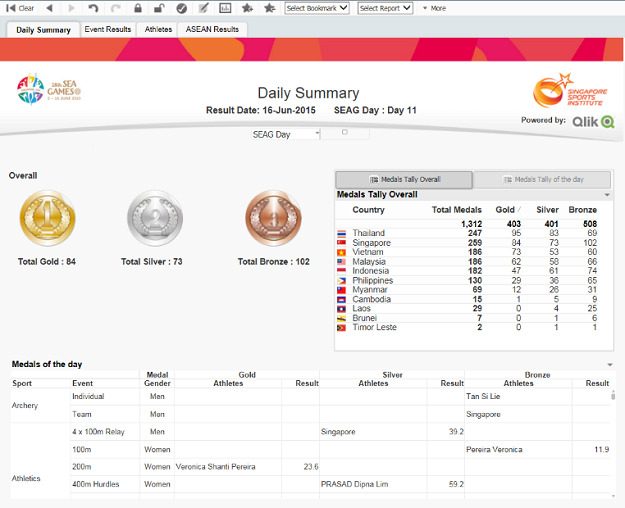 During each day of competition an hourly update was designed to inform athletes and Team Singapore officials on event results, the medal tally and how athletes were performing against their targets. Not only were these results immediately helpful for the team officials, but viewers they could drill down into historical competition aspects using Qlik’s associative engine as shown below. In the end, preparation through analytics paid big dividends for Team Singapore who racked up an impressive 84 gold medals, second only to Thailand’s 95. In total, they were awarded 259 medals: the most of any nation competing. Properly informed athletes, it turns out, are the strongest, fastest and most agile when faced with stiff competition.